We were approached by WJ Towell, one of the biggest co-operations in Oman, to produce concept ideas for an area of land within an area called Madinat as Sultan Quaboos. This neighborhood is a popular residential neighborhood in Muscat. Our proposal started with a thorough examination of the strict architecture and planning laws in Muscat, in addition to the more traditional buildings, which already existed within the city. 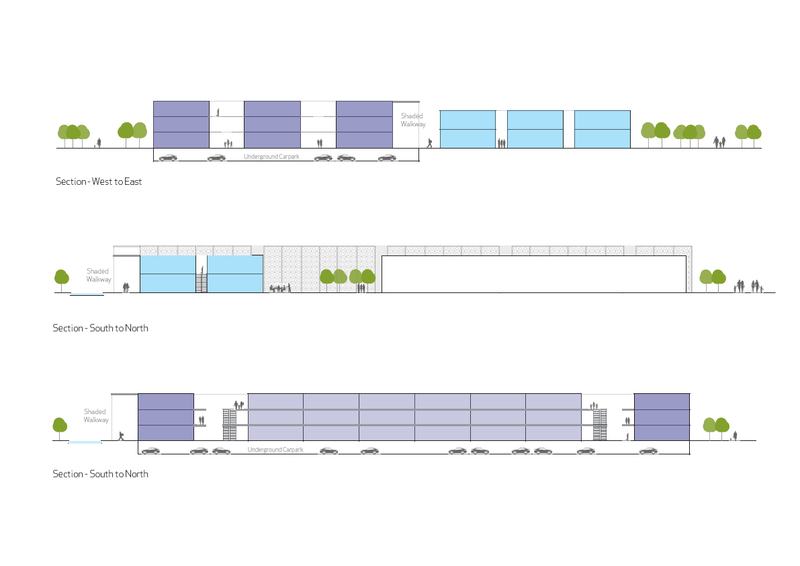 The proposed seeks to create a simple shopping centre, which delivers efficient space both for the layout of shop’s and also pedestrian flow. A major consideration for this project is the harsh climate of Muscat; our design uses sophisticated analytical tools to allow us to test a number of iterations of the overall form as well a façade strategy. The shaded pedestrian walkways around the building allow for external promenades to be created. During the winter months where there weather outside is suitable, activity is allowed to spill out of the centre and occupy the promenades, with seating for cafes and pathways linking different shops and activities. During the harshest period of the year, the summer, these activities are transferred to the climatically controlled interior corridors, creating an all-year-round centre which makes the most of each season. 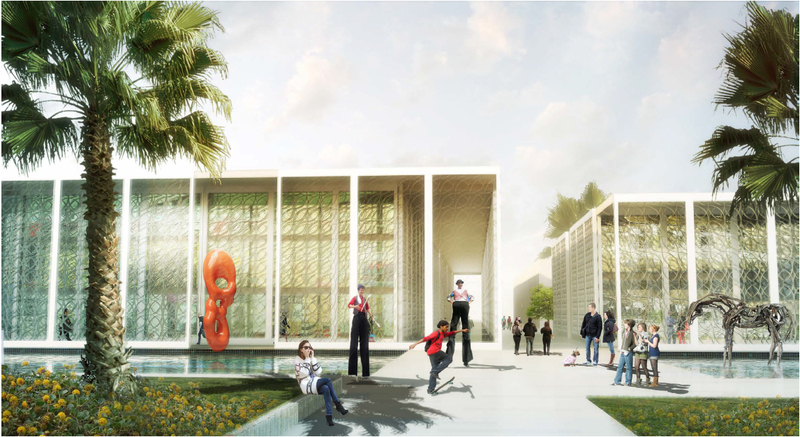 The external landscaping uses vernacular elements, such as the inclusion of pools of water, to modulate and control the environmental conditions. The overall aim with the proposal was to challenge the normal approach to shopping centers within the Middle East; where by all external factors are excluded from interior conditions. Here we have used controlled natural light and ventilation to reduce the sometime excessive use air handling and condition units within similar project in Oman. 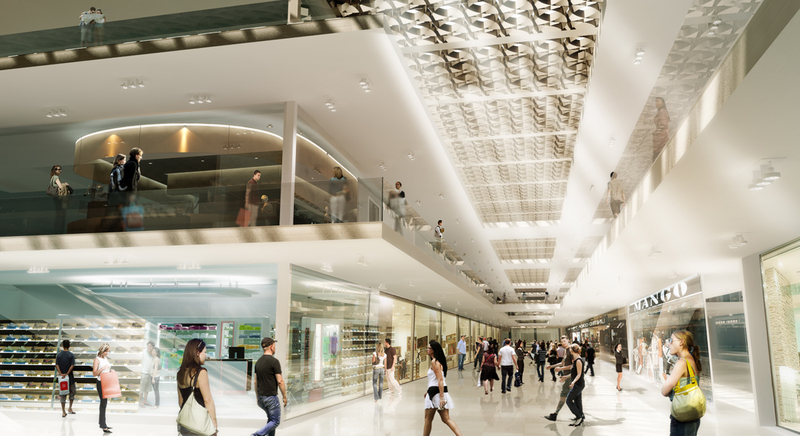 This allows us to create a sustainable and environmentally responsible shopping centre.